Welcome to the 2nd installment of historical monsters. Up today–animal and other ‘beast’ monsters. Woodcut. Apocalypsis Sancti Johannis. [Germany : ca. 1470]. 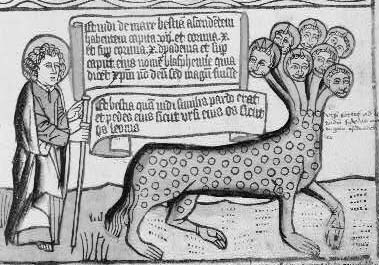 Starting with some classic beast-action from the Christian bible, this 15th-century woodcut shows “Saint John seeing a…seven-headed beast that looked like a leopard rising out of the sea.” You can tell it’s a leopard because of the spots. I like how each of the seven heads appear both feline and human. The sea, being all big and fathomless and salty, is a popular place to store your monster. 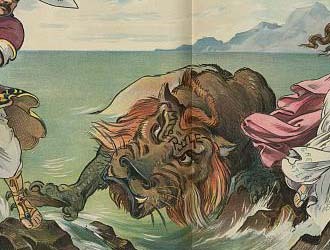 Here, in a political cartoon from 1901, this cranky-but-not-violent looking sea monster in the shape of a lion (?) references Odysseus mythology to comment on the Tammany Hall corruption scandals in turn-of-the-last century New York. 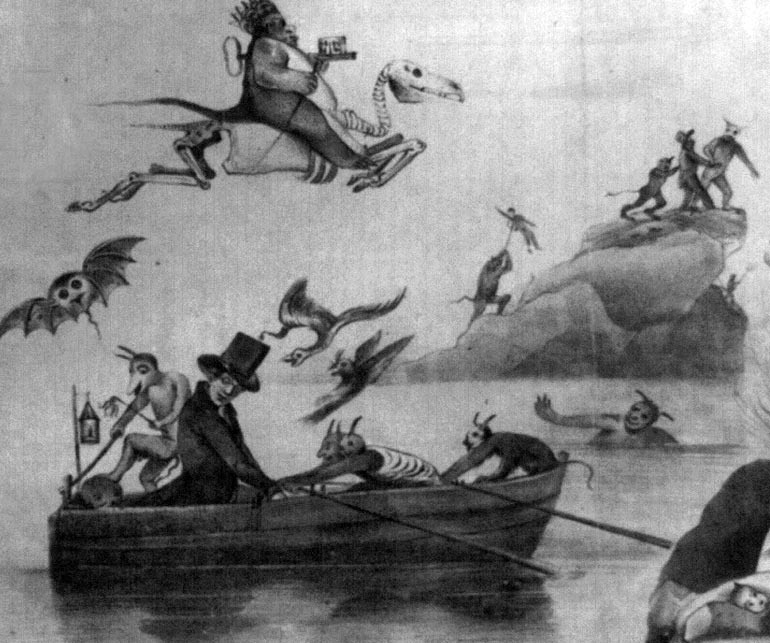 I think today’s political cartoons would benefit from more sea monsters. It could only raise the standard of discourse. Sea monsters aren’t just useful for scolding naughty politicians into more moral behavior, they’re also good for….selling fertilizer? Apparently so. This ad dates from just after the Civil War and shows “prehistoric monsters” tussling (& dying) in a swamp. 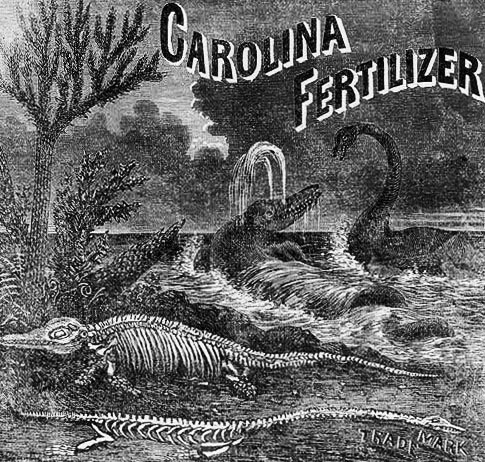 According to Carolina Fertilizer’s promotional strategy, their fertilizer “…is made from the PHOSPHATES of South Carolina, and is pronounced by various chemists one of the best Manures known, only inferior to Peruvian Guano in its FERTILIZING PROPERTIES. These PHOSPHATES are the remains of extinct land and sea animals, and possess qualities of the greatest value to the agriculturist.”* So there you have it: only inferior to Peruvian Guano. Can’t argue with that. “The new morality play exit demon rum–enter drug habit,” by W.A. Rogers, 1919. More social commentary. 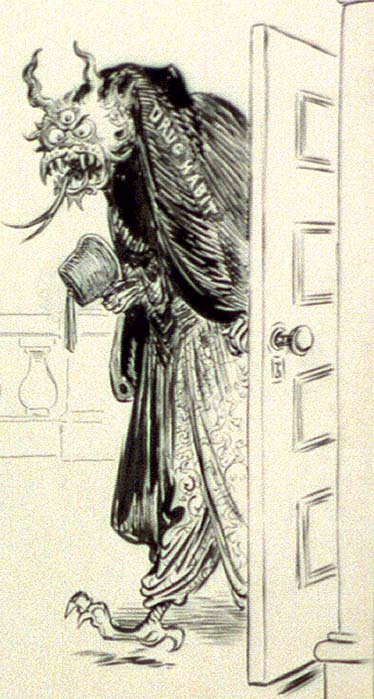 This 3-eyed, fanged, and ugly dude with forked tongue appears in a pen and ink drawing published in the New York Herald, Jan. 23, 1919, representing fears of a new threat of drugs (as opposed to the familiar old threat of alcohol) to U.S. society. What you need to know is that the Constitutional Amendment (18th) kicking off the Prohibition Era in the US was ratified by Congress on Jan. 16, 1919. The fez and billowing pants presumably reference the idea that drugs such as opium and heroin hail from the Ottoman East. And now I leave you, good readers, with this horrible, hideous, fantastical, impossible beast. Machine mosters and comic monsters are yet to come. 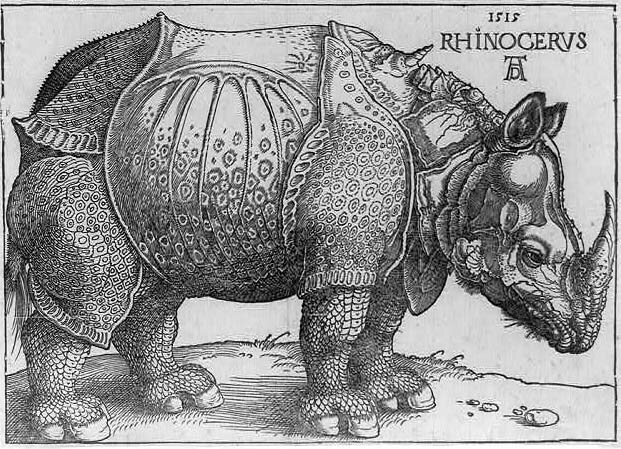 Categories: Uncategorized | Tags: Albrecht Durer, Alisa Alering, Art, Beasts, Henry R. Robinson, History, Library of Congress, monsters, Prohibition, Sea monsters, Udo Keppler, W.A. Rogers | Permalink. “The sea, being all big and fathomless and salty, is a popular place to store your monster.” <3!! This sounds like the beginning of a great short story. OMG! You are so right! Why didn’t I think of that? I’m just going to go write that down in the ol’ box of ideas and story starters. Thanks!